How does stress affect you? My health is very dependant on my mental state, this is something I have become aware of over time. My husband works away and last Wednesday came home for his first days back in nine weeks (he has made it home for a couple of day visits during the stint). Managing a roster such as this is exhausting and guaranteed a couple of days before he gets home my body shuts down and I get sick! This time it started with a cold, sore throat and a headache. I whipped up my go to beverage – warm freshly squeezed orange juice, with lemon & raw honey. It was delicious but the vitamin C boost didn’t kick-start my immune system in time to avoid losing my voice! Losing your voice is so irritating, especially as you rarely get the chance to speak to your husband in person, and well….you can’t! I ramped up the treatment with daily Olive Leaf shots and Vital Greens and I made some progress. But after working late Friday night on a massive University assignment and working at the shop all day on Saturday, I pushed myself too far and crashed! I hate going to mainstream doctors (quick to prescribe medication without investigating the cause) but after a week of feeling unproductive and frankly just plain horrible, I booked the appointment, with the goal of getting better before my husband leaves again in two days time. To my surprise, the doctor I saw did not jump to prescribe antibiotics nor tell me to take Panadol. He instead asked me questions about what I do, my lifestyle, sleep patterns and diet. How refreshing it was to speak to a doctor that was interested in finding the cause of illness and not simply managing the symptoms. After answering his questions, he moved the conversation to stress and stress management. I am very aware of my body, my health and my stress levels….but connecting the dots does not mean I am effective at managing the indicators. I over-commit myself, have very high expectations and survive on less than adequate sleep. The two things that keep me functioning are my healthy diet and exercise….but I have been known to overdo the latter also. He went further and asked me to schedule my week. I smiled and told him that I schedule every hour of my day, a week in advance and find it helps me immensely. He smiled politely back and told me to approach the task differently. He gave me some further suggestions to help me manage my stress levels and keep on top of my health. I left with no quick fix but a regained appreciation of our health system in which I had lost faith. 1. Schedule sleep in first – a minimum of 7 hours scheduled (6-8 hours actual sleep recommended). 2. Schedule daily quiet time second – whether it is 15 minutes meditation, reading a book, or taking a bath. Make time for silence each day, this will allow you to come back to centre, reflect on your thoughts and re-set. 3. Schedule in exercise – but ensure you are eating and sleeping enough to support your level of activity. 4. Prioritise & then cull your To-Do List. Focus on ‘must-do’ tasks and designate a specific time block to ‘should-do’ tasks. Drop unnecessary commitments completely and ensure your schedule has not eliminated family time or social life. If it has, re-evaluate and cull some more! 5. Drop your standards. It is impossible to be perfect. Trying to do so will actually make you less perfect, you will be stressed, unhappy, irritable & potentially sick. Set reasonable expectations of yourself and others (my poor husband) and learn that ‘good-enough’ is in fact good enough. 6. Re-establish a social life as yourself, not as a mother, wife, father, husband or friend . Go to the movies with some girl-friends, go for a run with the guys at the gym. The small amount you pay for a baby-sitter is worth the rejuvenation that will come from this time out to be you, doing things you enjoy. 7. Ask for help and learn to say “no”. I have grouped these together because they come down to the same thing in my experience. We try to satisfy others, not put pressure on them and personally want to be able to do it all ourselves. But what was explained to me today was that relationships have to have balanced energy. There has to be equal give and take for them to be beneficial in your life. Asking for help or saying no is not damaging to your relationship, it is balanced. Your are then setting up the relationship for mutual benefit whereby they will ask for help if they need it but also feel comfortable saying “no” if they need to. Check out this list of 69 Stress Management Actions that are quick and easy to incorporate into your everyday life. I hope that these tips can help you refocus your energy and manage the ill-effects that stress pose to your health. 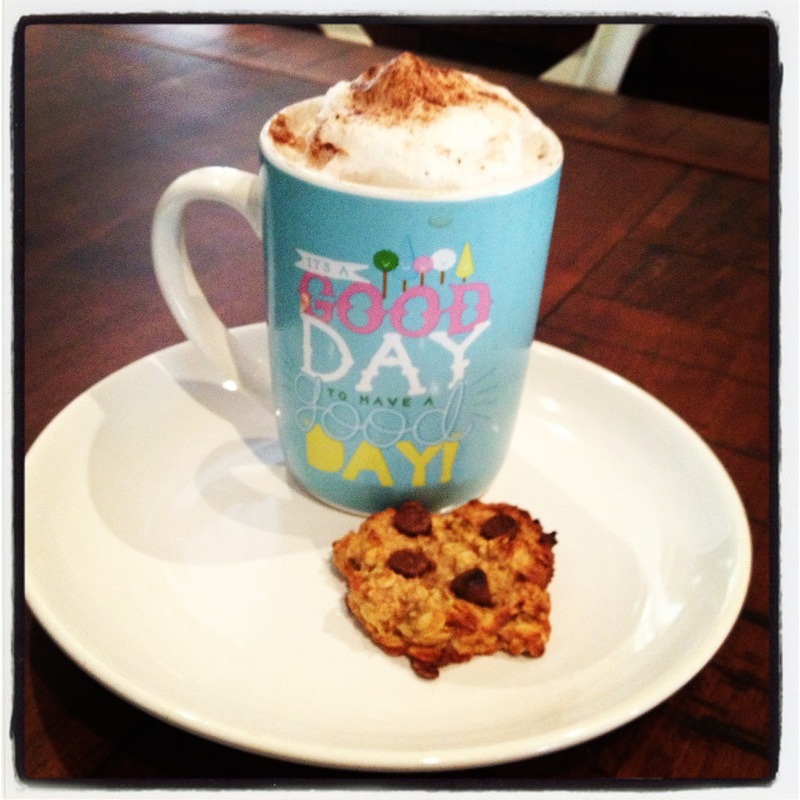 I am going to enjoy some ‘Me Time’ with a organic cappuccino and a choc-chip almond meal cookie.